Utopia :: Show Information :: RabbitTV GO! 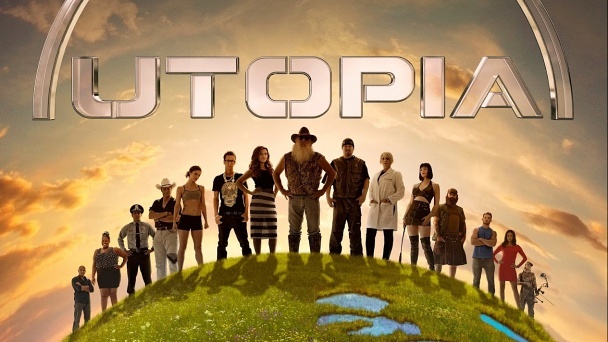 Behold UTOPIA, a bold new series based on the hit Dutch program. Watch what happens as 15 pioneering Americans wave goodbye to the lives they’ve known, move to a remote location, and set out to create a society from scratch. They’ve got limited supplies, wildly diverse backgrounds, and zero bathrooms. What could go wrong – besides everything? The Utopians will make every decision about how they live and work. Will they choose democracy or dictatorship? Capitalism or socialism? Fidelity or free love? Which religion, if any, will prevail? Will they punish or forgive? Keep or share? Are those chickens friends….or food? If not now, when? It is all up to them. This is not a game. There is no prize. This is UTOPIA: reality TV in its truest form.